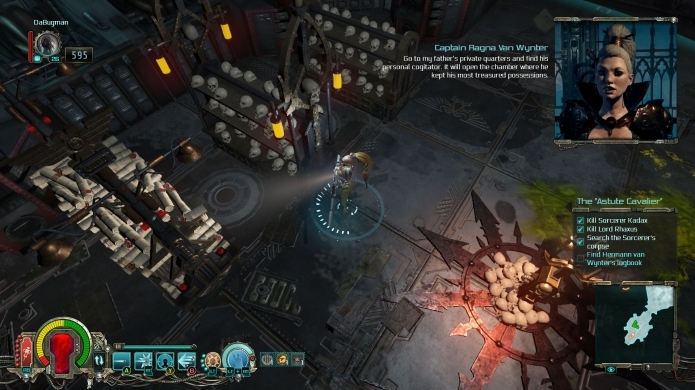 Warhammer 40,000: Inquisitor - Martyr is an action-RPG set in the 40K universe - so you know it's full of Space Marines wearing giant pieces of armour fighting off all manner of threats that don't gel with a mysterious Space Emperor's creed. Lunching a couple of months back on consoles (PS4 and Xbox One), Neocore Games has announced that Season 1 of post-launch content has begun. Which brings a new enemy faction, the Dark Eldar, and a new free campaign with investigation and missions dealing with the new threat - called "Drukhari". Although this new content is free, the first paid DLCs (included in the Season Pass) will begin to appear in November.